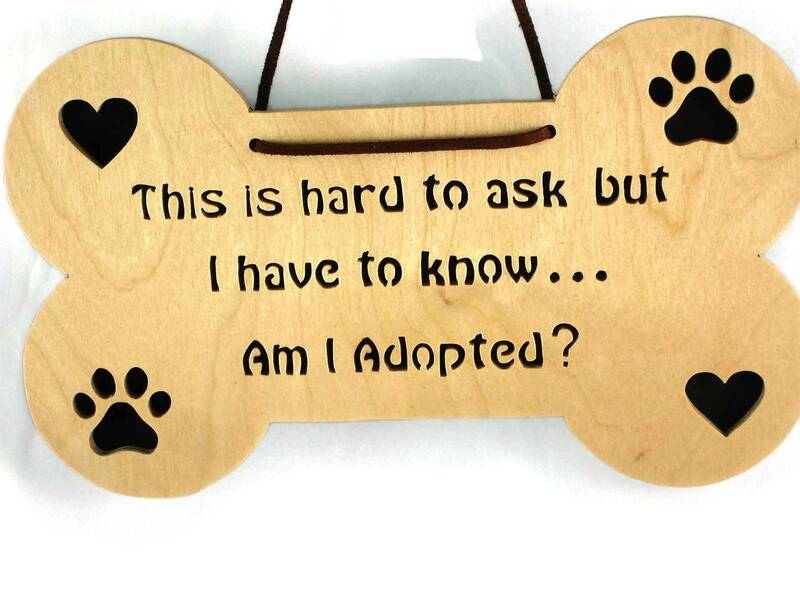 This dog bone plaque was cut out by hand ( Handmade ) from 1/4 inch thick Birch plywood using a scroll saw. 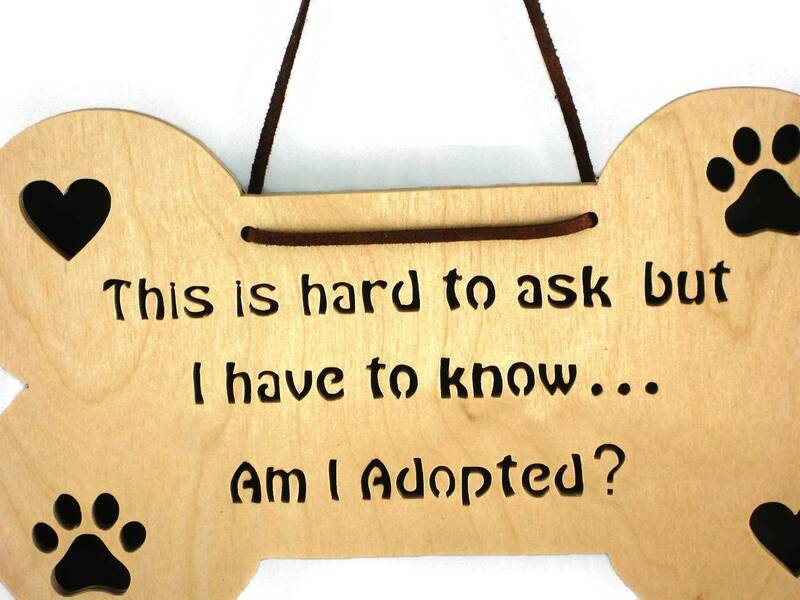 The plaque features paw prints and hearts and the message "This is hard to ask but, I have to know... Am I adopted?" 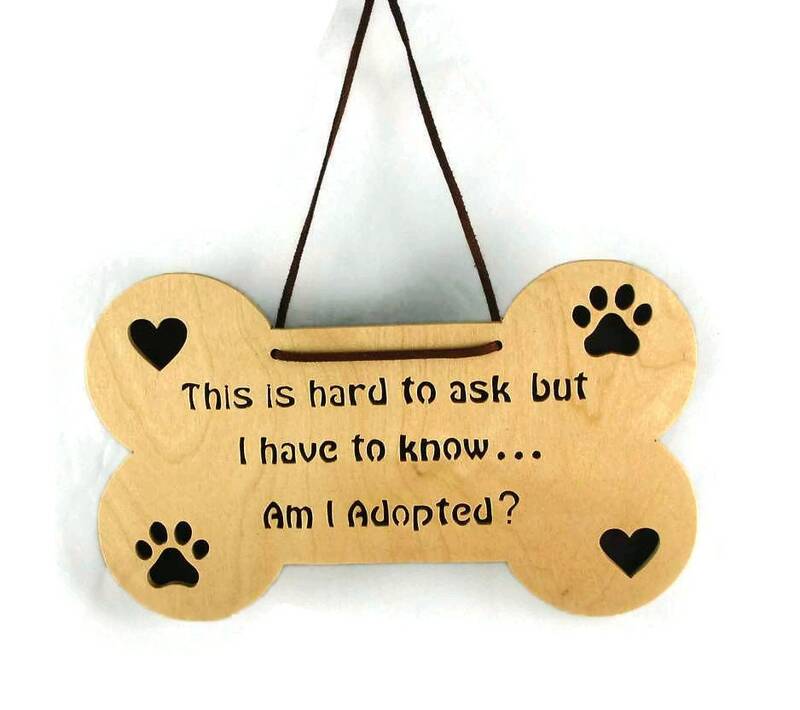 This dog bone shaped plaque features hearts, paw prints, and a saying that says "This is hard to ask but, I have to know... Am I adopted?". 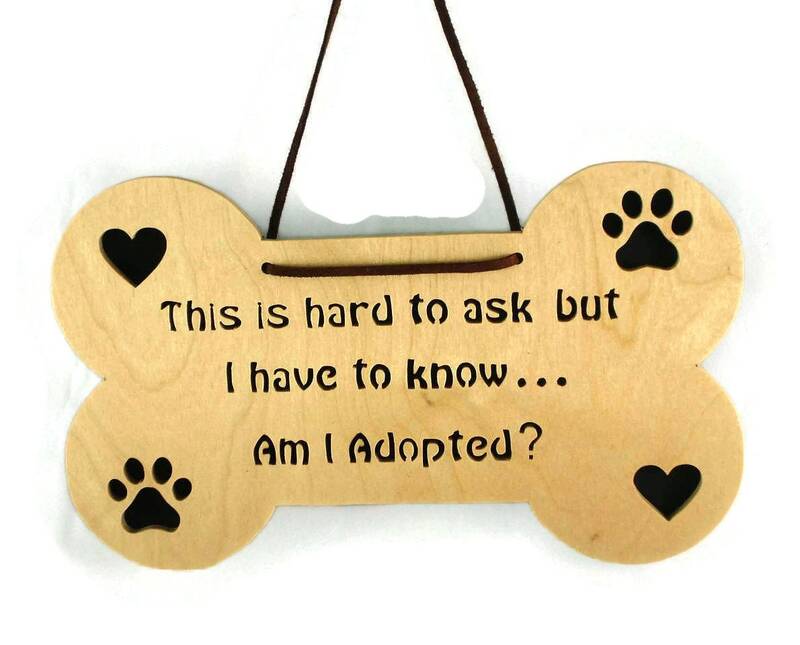 The hearts and pawprints are cut out diagonal from each other and the phrase is in the center portion of the bone. This is handmade from 1/4 inch thick birch plywood. A foam sheet is glued to the back side of the cutout. A suede rope was added for ease of hanging this in your home or office. A polyurethane finish on this to protect and beautify the wood. 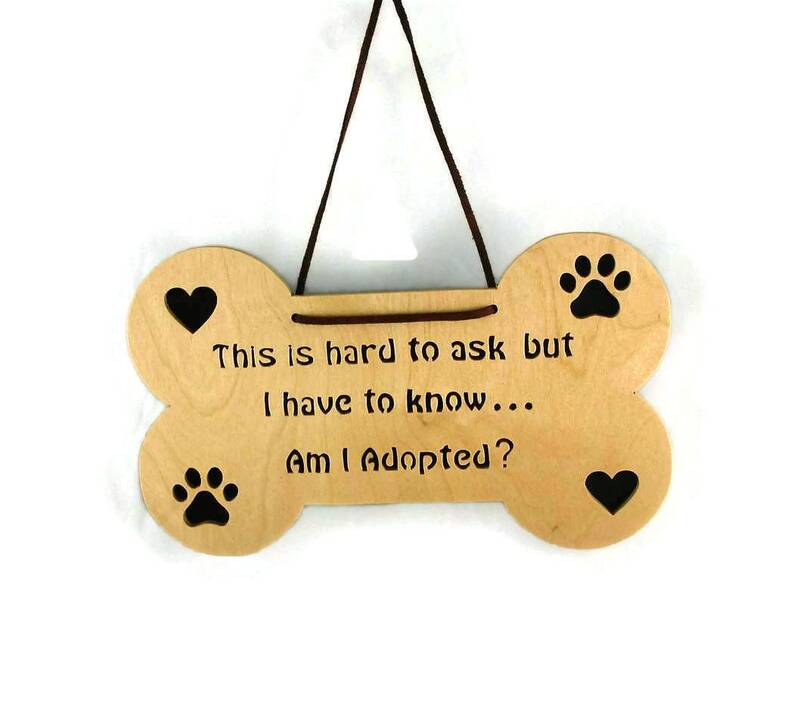 This measures approximately 7 inch tall by 10 inch wide and 3/8 inch thick. This can be custom ordered cut out of different type of wood if you like, contact me for details. Or if you would rather have a different phrase cut contact me..